WTB Sendero 650B X 47mm Tires: Checkpoint- by Guitar Ted with comments from Grannygear The Sendero 650B X 47mm tire is the latest entry in the “Road Plus” category which WTB debuted a few years back with the initial offering of the Horizon. 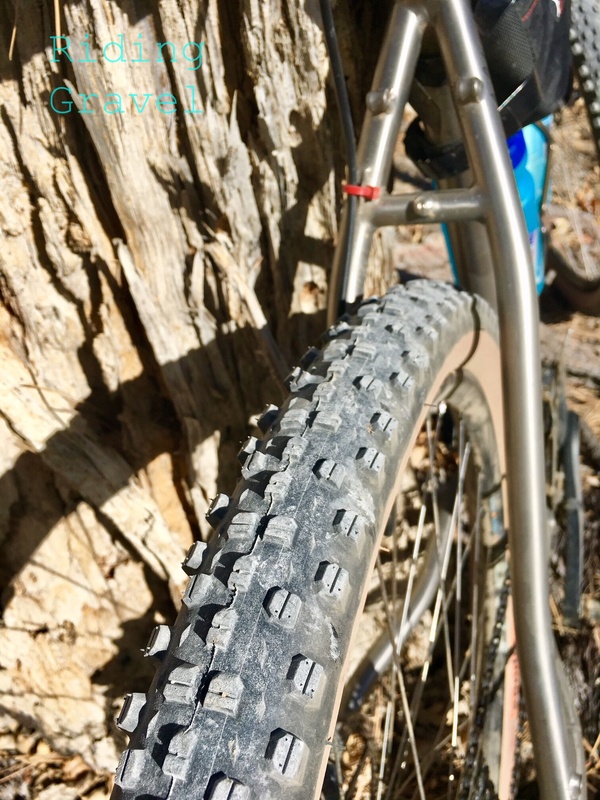 This Sendero tire is a knobby sibling which promises more traction and range to the typical gravel rig which has the capabilities to be set up with a 650B wheel and tire combination. I’ve already laid out the technical introduction to this tire in my previous post, so click that hyperlink if you need to read up on that. In this post I will give my opinions on how this tire rode on pavement, gravel, and dirt. Grannygear also received a set of Senderos and he will give his SoCal take on these tires as well. Let’s dive in. The WTB Sendero 650B X 47mm tires could make your gravel rig a bit more mountain bike-ish. 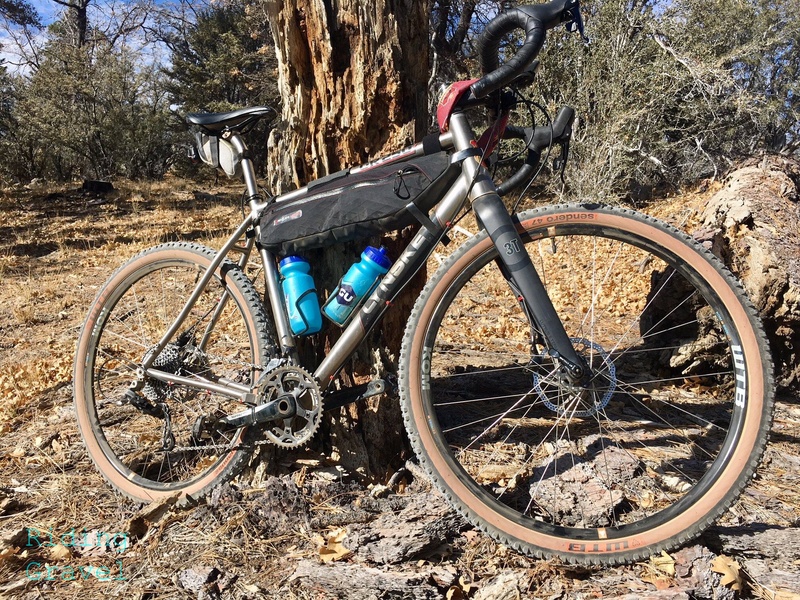 What It Is- Part 2: The Sendero has a purpose and that is to extend what a gravel bike is capable of in rougher, off-road terrain. In my opinion, that is how this tire should be judged. That is the context in which I tried to form my opinions around this tire. Because, let’s face it- there are a lot better tires in this size range for gravel/pavement/light trails. Plus I think it also is very important to remember that this was not meant as a tire for a mountain bike, but as a tire to make the gravel road/all road drop bar bike handle more mountain bike territory than it could with “typical 650B tread designs” or typical 700c X 38-42mm “gravel tires”. So, I see it as something that is an alternative to a Maxxis Ravager 700c X 40mm tire, the Vittoria Terreno Mix, or possibly the WTB Resolute. 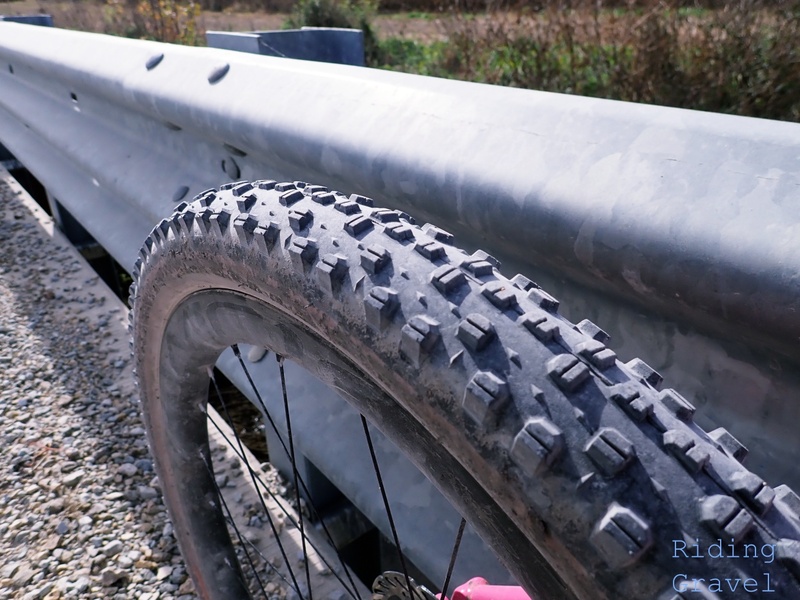 All tires that have a bent more towards traction in mud and dirt than many gravel type tires and tires that could get you into more single track and dirt. I don’t think the Sendero is a mountain bike tire either. So, just what is this critter? The Sendero’s tread pattern is meant for mostly dirt, but gravel isn’t a bad place for it to go. Like I said before, it is meant to be a “range extender” for gravel riders. 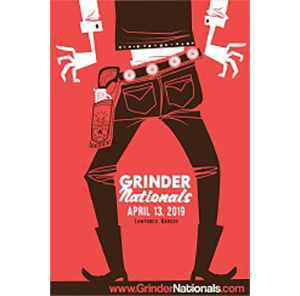 So, to my mind, it has to do some of the other things well, or at least not be a detriment to the more traditional ways of riding gravel/all-road bikes. Does WTB make a case for this with the Sendero? That is the question I sought to answer. Ride Performance- GT’s Perspective: We will let Grannygear give you his take a bit later here, but as far as how the Sendero does in “extending range” of gravel bikes, I think it does that and while it isn’t going to be as good as something with a bigger tire, it is better than what you could fit into most gravel road bikes, if you have to have single track on your menu while riding your drop bar gravel rig. Not everyone will want to do that, so for them, this tire is not a good fit. If, however; you are interested in such a tire, I think you will find it does okay in dirt. On gravel I wasn’t ever disappointed I had this tire on my bike. Even in fast paced group rides, it did all right by me. However; if you end up having to take to really hard surfaced dirt, or pavement, you will be working harder than your gravel traveling compatriots. The Sendero’s knobs quickly become a liability there, but that is no different than most of the knobbier 700c based tires, such as some of the ones I listed above. So, do these knobby creatures that WTB has cooked up, do they work in the dirt? Well, yes…..a qualified yes. Volume is king off road for a fully rigid set up, (to a point), and you don’t get voluminous tires stuffed into most gravel bikes. So, as a compromise, I think this tire does extend the range of a gravel bike. The question then becomes, “Are you willing to accept that?” Obviously, I cannot answer that question for you. 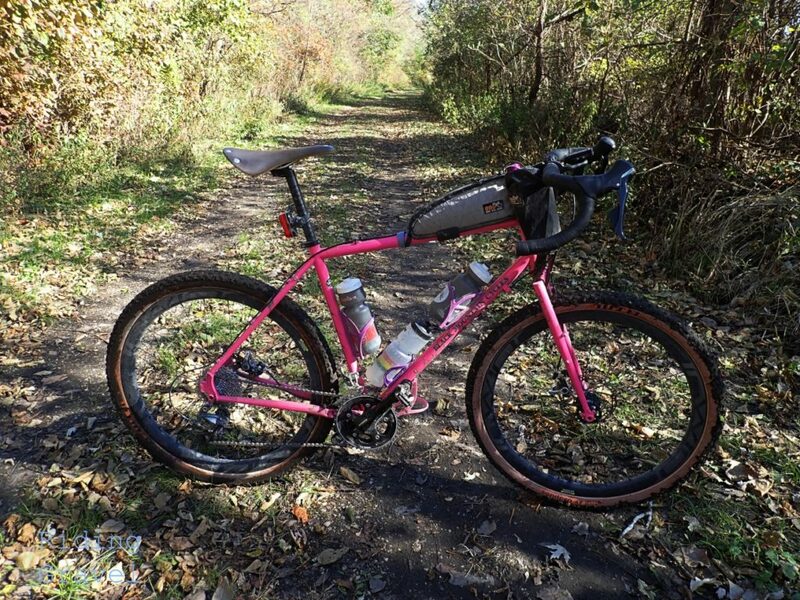 Perhaps if your time on a gravel bike would be more fun because you could link up sections of dirt previously too sketchy for your typical tires, then the answer might become clearer. And I think that is exactly what WTB had in mind here. Grannygear with his Senderos. Somewhere in SoCal……. Grannygear’s Lynskey GR250 has room for “poofier” tires. The Sendero could have been bigger for him. Ride Performance- Grannygear’s Perspective: For me, this tire was a bit of a miss. Why? Size, mostly. If I am going to drop down in wheel size to 650B and take that big hit in rolling performance and stability, not to mention bottom bracket height, then I darn sure want big volume in spades and the 47mm size falls short of that. Having just gotten off the big casing 50mm/2.0” MSOs, (See “Getting Rolling ” post here) even with that minimal knobs design (which allows for a bigger volume tire, right? ), I was missing the extra volume more than I was enjoying the extra traction of the Sendero. And traction it has in spades. Climbing out of the saddle and cornering offers tons-o-grip. Single track is a real option here. And it is decently light so it spins up fast, faster than the MSO, being over 100gs lighter. Mounting it on some WTB KOM rims was a bit of a chore, requiring an air compressor to get it to take. Considering the rims and tires are all in the family, I expected better in that regard. In the end, it left me wanting more ‘biggy-ness’. It accentuated that ‘small wheel’ feel of 650B that I dislike in a gravel bike unless I am in the techy-est of terrain. 47mm for me makes sense in a tire like the WTB Horizon, where that fat casing on the road (even mild dirt roads) is fine…comfy and fast rolling. But in the dirt, and challenging dirt, it falls short for me. Now if that is as big a tire that will fit your frame, then get on it because bigger is better ( to a point…wherever that point is). But the future for gravel bikes that aim at a broad range of uses is being able to run 700c up to a 45mm tire and 650B up to a 50mm tire. Design a bike labeled for “adventure” and neglect those numbers at your peril. Anything less than that will be a gravel ‘race bike’ or maybe All Road, whatever that is. To me the Sendero is a bit too niche and too small to love. But that does not make it a bad tire for me, just not the right tire. So Far……..The Sendero is aggressively knobbed and far different than WTB’s other Road Plus offerings to date. It isn’t the greatest on pavement, seems to roll okay on hard pack, it does well on loose gravel, and we like it on single track. Tubeless set up and performance is acceptable. (Grannygear seemingly having an issue while Guitar Ted had great success). While the Sendero is meant for more “severe conditions”, it comes with the very same casing as the Horizon smoothy. Not overly voluminous, but it will fit into many current gravel/all road bikes turning them into a more single track worthy bike. Will the future of adventure bikes make this tire obsolete? Perhaps, but for now, the Sendero seems to have a place at the table. Stay tuned for the “At The Finish” post coming soon…. Note: WTB sent over the Sendero tires for test and review to RidingGravel.com at no charge. We were not paid, nor bribed, for this review and we strive to give our honest thoughts and opinions throughout. I agree with the size being a bit on the smaller side. But… I live in Portland,OR where the winters are wet and muddy. This tire is a good solution for a knobby tire that plays nice with fenders and can handle mud. I have a Gorilla Monsoon that allows 2.4″ tires, but this tire with some fenders allows for winter fun. @Chris Callahan….yes, good point. I bet that would be a smart play. Unfortunately I live where mud is only a chance occurrence. I’m planning to use this as a front tire in the often wet forests of North Carolina, with a 650 Resolute in the back. The idea to have a fast rolling tire with decent climbing traction in the rear with secure handling and a little more volume and comfort in the front. Itwin ‘s as big as I can go on my Twin Six Rando.